Various models are available as per product applications. A quality Industrial Metal Detector delivered after stringent quality checks, designed to detect minute Metal contamination in products and give accurate results, Backed up with dedicated after sales support. We provide services to our client on priority basis. For any break down situation we have our after sales support on pan India Level to solve the problem efficiently to avoid any production loss. Highly essential machinery in Food Industry, Pharmaceutical Industry, Paper Pulp Industry, Healthcare Products, FIBC, Vinyl, Spices, Frozen Foods. Special Models available for each application. 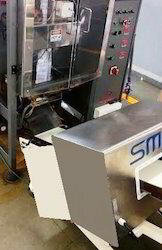 Brand SMMS Engineering Systems . We are manufacturers of Industrial Conveyor Metal Detector, A quality product delivered after stringent quality checks, designed to detect minute Metal contamination in products and give accurate results, Backed up with dedicated after sales support. We provide services to our client on priority basis. For any break down situation we have our after sales support on pan India Level to solve the problem efficiently to avoid any production loss. 15. Special Models available for each application. 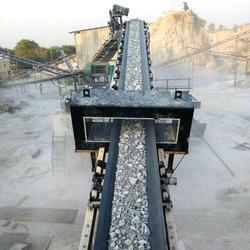 We offer wide range of Metal Detector for Stone Crusher. 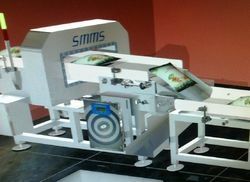 SMMS Metal detectors designed for large scale application, Heavy duty and sturdy machine designed to suit Heavy scale applications to detect tramp metal in stones for protection of cruchers and cutters. Combine with IP 65 grade protection of control unit cabinet for protection against dust. Combined with IP 65 grade control unit cabinet for protection against dust and water. Complete protection of Chipper Line Machineries like Crushers and chippers. We offer wide range of Metal Detector for Chipper Line. 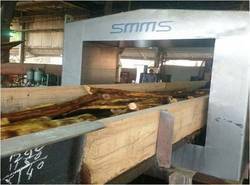 SMMS engineering systems delivers High quality with robust and compact design Metal detection systems for paper pulp industry, a specially designed model for Chipper line gives accurate metal detection of tramp metals in wood blocks. High quality component support provides our Metal detector strength to work under high pressure conditions. 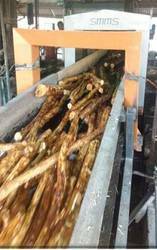 We offer wide range of Wood Log Metal Detector. 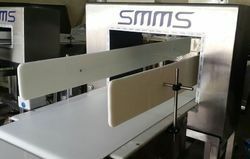 SMMS Metal detectors as customized designs manufactured to suit any large scale applications, A sturdy and robust design built with heavy duty components and high quality steel is an ideal solution for protection of Chipper machinery from tramp Metals. 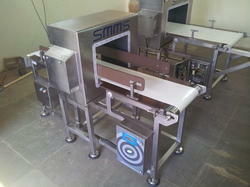 These machines can be integrated with existing conveyor. Highly sensitive to all metals including Magnetic and Non Magnetic. Key Features: Designed to suit highly dusty factory environment Maximum compensation of Product Effect Combined with IP 65 grade control unit cabinet for protection against dust and water. Highly sensitive to Magnetic and non magnetic Metals Complete protection of Chipper Line Machineries like Crushers and chippers.